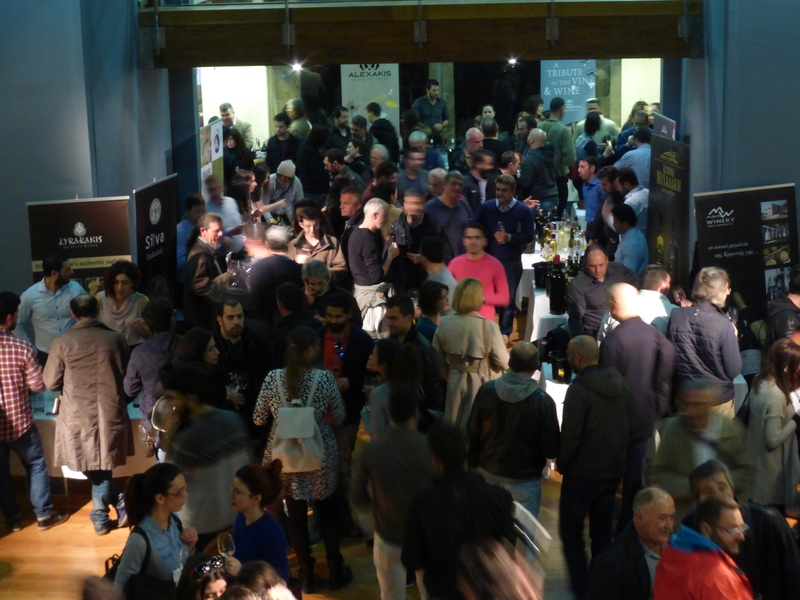 We always look forward to the wine fair in Chania. If you think of Greek wines, this may conjure up carefree student backpacking holidays, dreadful hangovers. That white wine with the curious reminder of pine disinfectant. 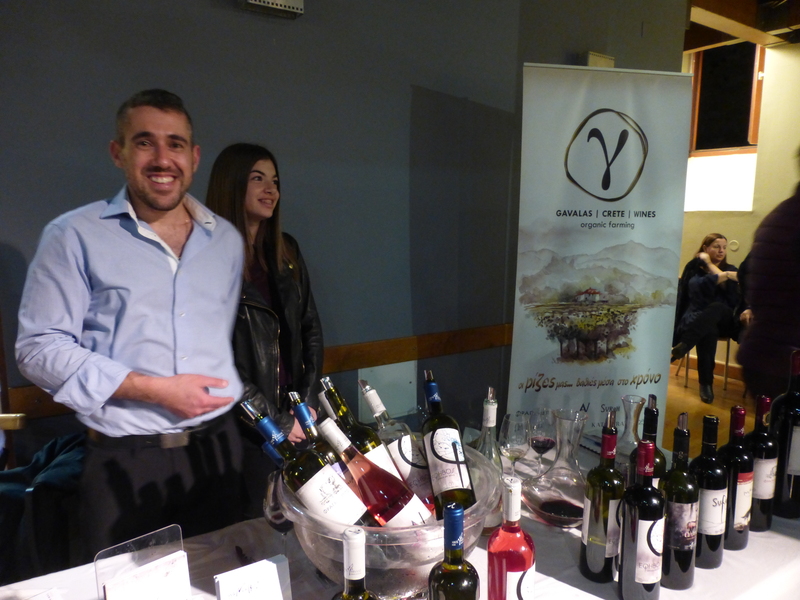 But Greek and Cretan wines are a real gem, and, until recently at least, a hidden secret. 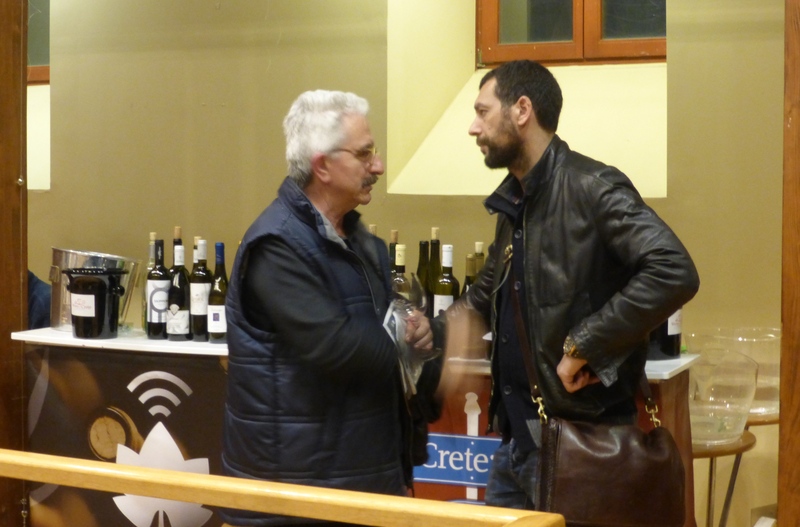 The quality and range of wines made in Crete has improved dramatically over the last 10-15 years. There are now over 30 wineries on the island from boutique to quite large commercially oriented establishments. Many now export, to over 20 countries, including China! Typical these wineries are family run businesses, such as the Dourakis winery in Alikambos. Set up by Andreas the father, it is now run by his son Antonis, an oeneologist trained in Germany, and his daughter Evie. The wineries on the island strive to use the unique Cretan microclimate and terroir – the topography, soil composition and microbiology. Many are now concentrating on growing vines without articificial fertilizers or chemical sprays to produce organic wines. The vines are heavily pruned to produce small bunches of grapes with full aromas and concentrated flavour. Most producers select and pick the bunches by hand and rapidly transfer to the winery for pressing. Over the last 20 years, these family businesses have invested in the latest technologies for quality wine making. These include low temperature fermentation in stainless steel. The use of gravity in the winemaking processes to avoid the use of artificial pressure. Bottling without oxygen to preserve the wine. Wines are stored in French or American oak barrels, often used only once, in underground cellars at stable controlled temperatures. Ancient grape varieties are being rediscovered. These vines are carefully planted and nurtured, the resulting grapes blended to produce some exciting new wines. 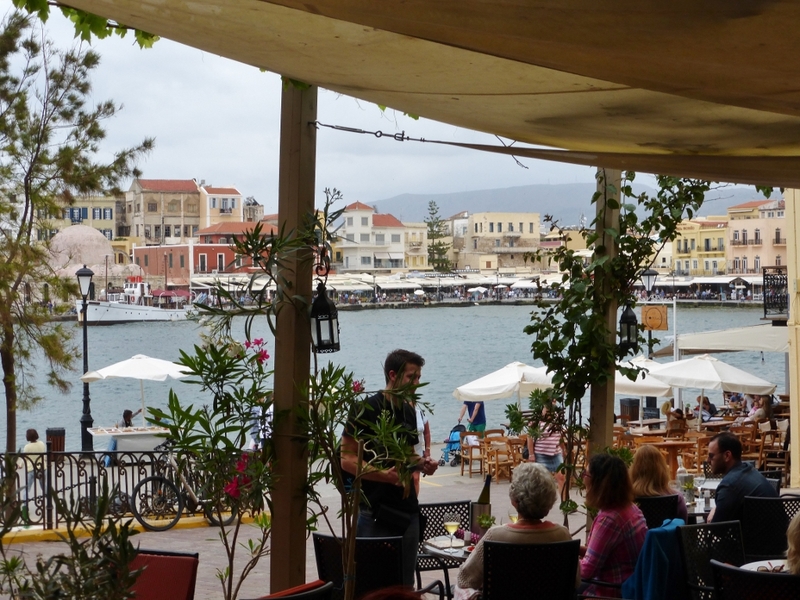 If you care to come to Crete and stay at Panokosmos you can experience them with us. We offer all our wines by the glass so you can easily try the range. You will hear some exotic names such as Mandilari, Plyto, Kotsifali and Vidiano. These are often blended with international varieties to produce aromatic, full flavoured fine wines – the Cretan producers use a wide range of grape varieties. 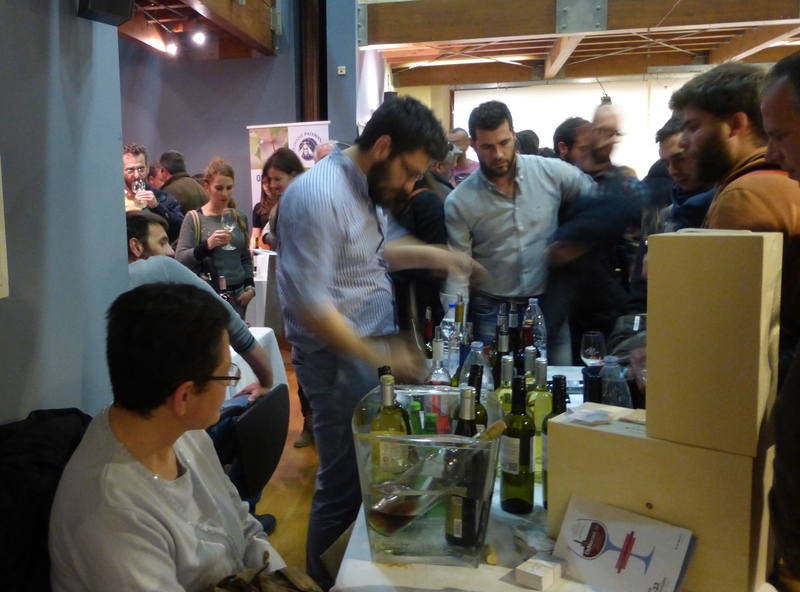 At the Wines of Crete fair in Chania we dutifully tasted over 35 different wines, to build on our range of offerings. We replaced some of our Greek mainland offerings (particularly from around Thessaloniki and Mt Olympus) with more local Cretan wines. We have chosen four new wineries. There is a wonderful new white to pair with fish and white meat dishes. Nikos Gavalas has blended Vidiano with Vilana, both native grapes, to produce a wine with an aroma of spring meadows, flinty acidity and rich flavours. Its a perfect alternative to a Sauvignon Blanc. A great easy drinking rose, hints of berries, full flavoured with a lovely deep pink colour comes from Diamantakis which has the local Mandilari blended with Syrah and Cabernet Sauvignon. Then there’s the satisfying Silvas full flavoured red, with well balanced tannins, a nose of plums and honey, with a long finish. 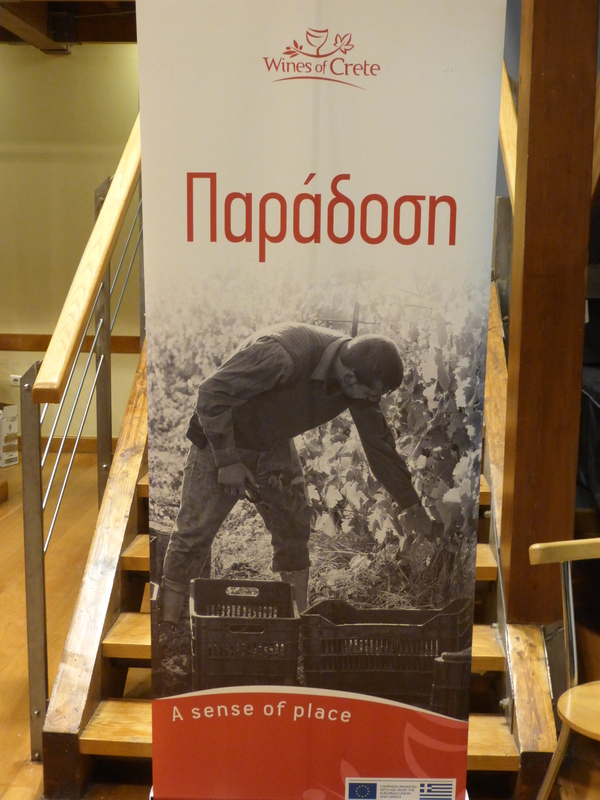 Finally there is the Helios Liatiko from Douloufakis, a delicious red dessert wine. Dried fruits and cocoa on the nose, notes of prunes and a complex rich mouthful, long aftertaste. As well as their olives, the Cretans also have a long tradition of growing their own vines for wine. Every family will have their own vineyards, along with their olive groves. Most will make wine simply and store it in barrels. In the tavernas if you ask for a red wine you will probably be given a boxed red from one of the bigger wineries located around Heraklion. This is perfectly good quaffing wine, and will go well with Brizolas (pork chops cooked on a wood fired grill) or lamb chops (usually on the menu as “lamp”!). But if you ask specifically for “your own” or village or “brown” wine, you will get their own offering. This is an acquired taste – if you come late in the year, you will get the new production which can be a deep red, fresh and flavourful. As the year goes on the maturing in barrels leads to greater oxidation and a more sherry like flavour. It gives the wine body and substance, but is quite a way from what you might expect! 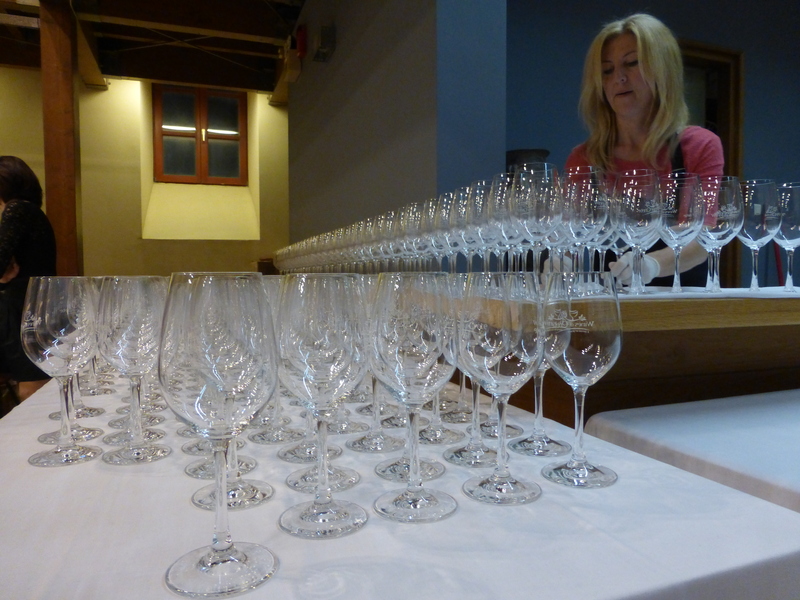 Some families – like our accountant for example, bottle their wines, after adding a little raki. This helps them keep, maintains their colour and preserves and enhances their flavours. Unfortunately his wine is not for sale! From Panokosmos, in the hills of the Apokoronas, you are within easy reach of a number of these interesting wineries. We can give you directions to them, and arrange for you to have special tours and tastings with our contacts there. Some also offer food and there are summer concerts and musical events at their establishments. These can provide you with a very special experience, music under the stars to delight your ears, a traditional meal in your belly, and a good glass of wine in your hand! Ten Things to do from Panokosmos! Cretan olive oil: how to tell its the best!